For decades, women have had to learn the silent criteria by which they are judged at work; it’s not just about being the best candidate for a job or promotion. Women must be likeable, but not emotional. Accommodating, but still respectable. Approachable, and yet formidable. All these unspoken requirements are riddled with stereotypes and gender bias that has led to ongoing inequality at the office. According to 2018 Pew Research, female workers in the United States still earn just 85 percent of what their male peers take home. And according to the latest report by McKinsey & Company and LeanIn.org, only 79 women are promoted to manager positions for every 100 men who are promoted in North America, which means the number of women in management will increase by just one percent over the next decade if current promotion rates continue. And in Canada, men continue to reach management positions more often and much earlier. Research published in 2017 by the National Women’s Law Center also reveals that mothers, victims of the so-named “motherhood penalty,” suffer $16,000 in lost wages each year. On top of that, 41 percent of employed Americans perceive mothers to be less devoted to their jobs, according to a Bright Horizons study. Men, on the other hand, get to be both competent and likeable at the same time, says Quadlin. “People do not find fault with high-achieving men’s personalities the same way they do with high-achieving women,” she says. With men in so many positions of power, women not only have to claw their way up the ladder, but they have to do so strategically, dodging obstacle after obstacle. Aly DeNardo, 22, a partner M Ventures, remembers a rude awakening of gender bias early in her career, during an internship at a Fortune 500 company predominantly composed of men in leadership positions. DeNardo details a meeting with one of those men and another male peer. “After the meeting was over, my colleague gets up, shakes hands with the man, and then leaves,” she says. “Then I get up, extend my hand to him, and he just looks at it; he would not shake my hand.” When the man walked away from DeNardo, she followed him. “I stuck my hand out to him again, and said, ‘Thank you for your time,’” she recalls, her voice punctuating each word. “I forced him to confront what I did.” She left the room, and then ultimately the company, calling the incident her “last straw” in an environment where female voices were not valued. Evans and his team put the executive’s theory to the test in a formal study, and the results mimicked her anecdotal findings; while adding humor to presentations increased a man’s status, performance evaluations, and assessments of leadership capability, funny women were viewed as having lower-status, less deserving of a positive performance evaluation, and less capable as a leader. Eschweiler has heard this dialogue is commonplace from numerous founders. “When a man walks into the room to pitch his company, it’s often, ‘You remind me of my son,’ which is just like, ‘You remind me of me,” she says. “By thinking of a founder like a daughter, she’s suddenly someone delicate. She’s someone to protect.” Or more simply, someone who might not be able to cope with the rigors of startup life. Women don’t want to be protected from the highs and lows of startups, promotions, or leadership positions; they want the opportunity to be contenders. “Women have been raised in this culture where they’ve been told, ‘You can do anything,’” says Eschweiler. “They’re getting a ton of positive attention, but often the dollars aren’t following.” Indeed, the funding statistics for women are dismal; according to statistics from 2018, female-founded companies garnered just 2.2 percent of VC investment last year. (Meanwhile, around 75 percent of investment dollars went to all-male founding teams.) Chen, for one, thinks these silently-held beliefs in the male-dominated industry may be one of the reasons. Of course, men may not even fully realize the way bias impacts their field, or their own perceptions of women. For example, there’s a body of evidence that highlights a gender bias against female researchers in STEM fields, but according to one study, men may view the papers proving such a gender bias to be less credible than the research that claims no such bias exists. While mentors typically guide and counsel, sponsors recommend and elevate. Men still hold more positions of power to elevate workers in today’s career landscape, so they often become “sponsors” to rising women, according to Fraser. 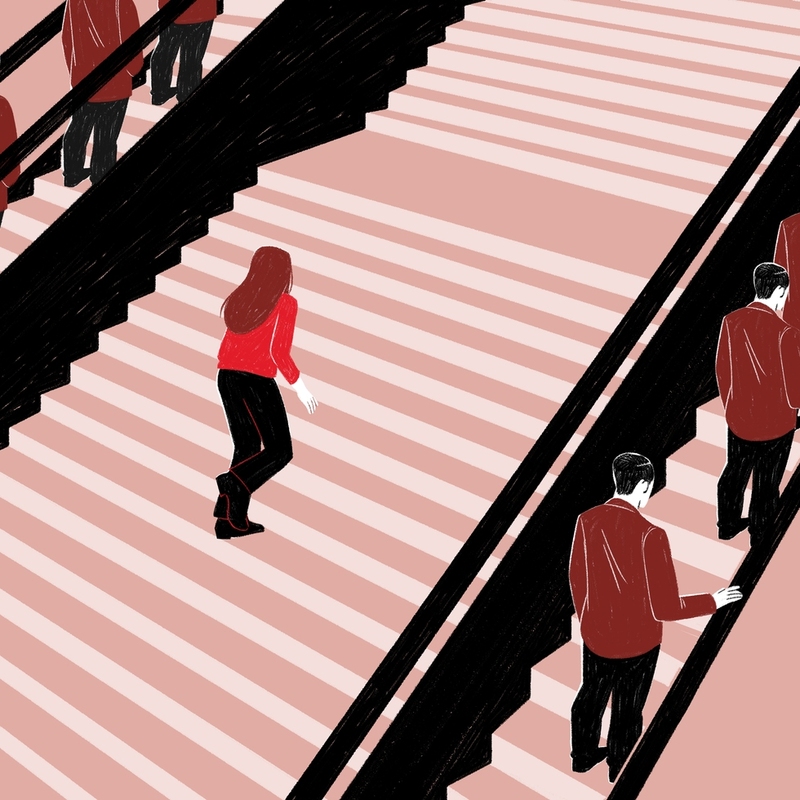 To help reach parity, an increasing number of men can sponsor women who deserve promotions, boards seats and VC funding—which means putting a name on the line to improve the odds for women who deserve these opportunities. The brand says Stefano Gabbana’s account was hacked. Time to get your glow on. The house reportedly goes to extreme lengths for fashion-show perfection. Two production houses have laid claim to the story.